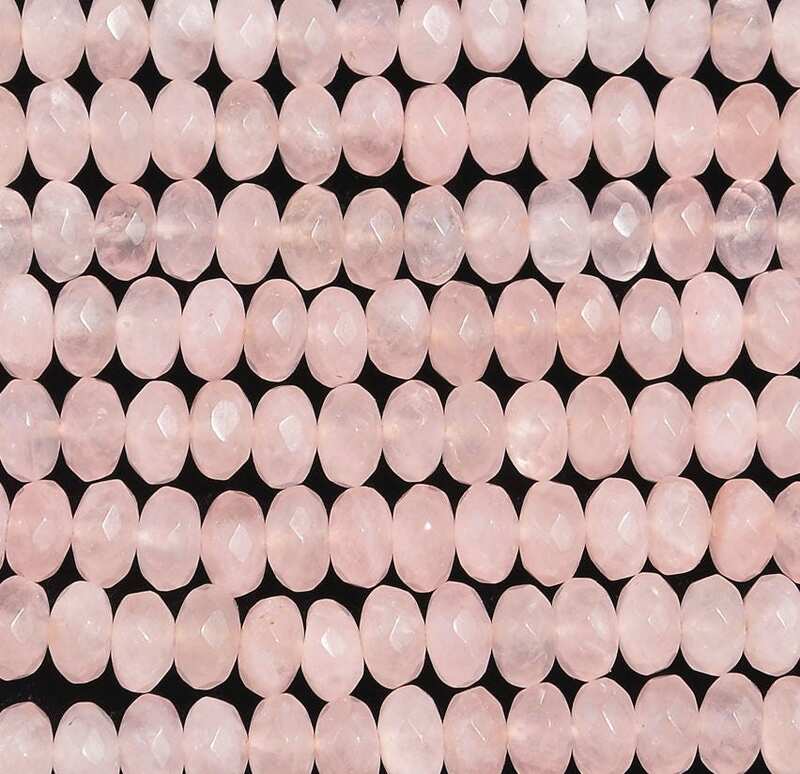 Rose Quartz 8mm faceted rondelle beads, approx. 43 beads per 8 inch strand. Color and size variations possible. The lapidary form of Rose Quartz is found in translucent masses made of anhedral crystals. It has a hazy to translucent look due to microscopic fibrous inclusions of pink borosilicate mineral related to Dumortierite. Rose Quartz is the stone of gentle love. Metaphysically, it is said bring brightness, compassion, kindness, tolerance and gentleness. Mined in North America, South America, Europe and Africa. Mohs hardness 7.